LeBron James' title of best player in the NBA could be up for grabs for the first time in a while. Philadelphia 76ers big man Joel Embiid is happy to take the mantle. "I'm the most unstoppable player in the league," he said on ESPN's broadcast after he helped to lead his team to a 118-115 victory over the Boston Celtics on Wednesday. He was unstoppable in the playoff-esque atmosophere with 37 points, 22 rebounds and and a critical late-game block on Kyrie Irving. He was also 20-of-21 from the free-throw line, taking advantage of his physicality and size to overwhelm Boston's frontcourt throughout the game. Final line for Joel Embiid: 41 minutes, 37 points, 22 rebounds, 8-17 from the floor, 20-21 from the line. Embiid plays hard every night, but I've never seen him play harder than he did in this game. Embiid seemed particularly motivated against the Celtics, who beat the 76ers in their first three matchups this season and eliminated them from the second round of last year's playoffs in five games. Joel Embiid had 37 and 22 tonight. No one else has done that this season in the NBA. He emphatically answered any lingering questions about whether he can consistently score against veteran Al Horford and the rest of Boston's big men with the dominant performance. James Harden, Kevin Durant, Giannis Antetokounmpo and Stephen Curry would likely take issue with Embiid being anointed as the most unstoppable player in the league, but he looked the part Wednesday. 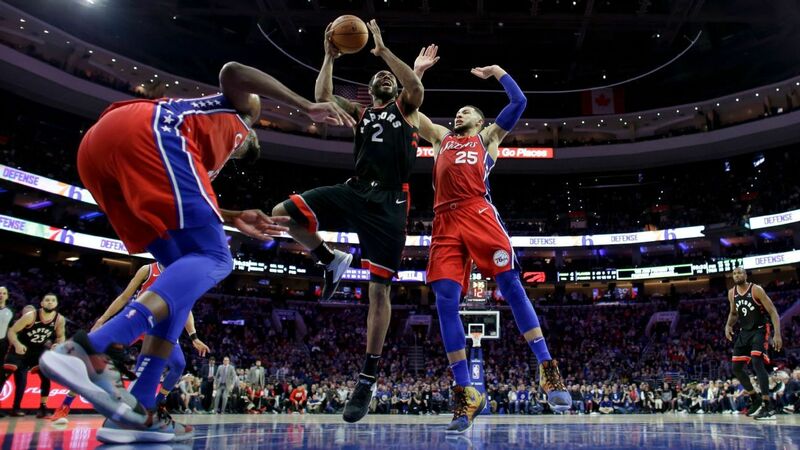 If he continues to play like he did against Boston, Philadelphia could emerge from a wide-open Eastern Conference with James no longer there and find itself in the NBA Finals.